This week’s feature is the Sandhill Crane. This photo was taken in Longwood Florida along one of the State Roads. 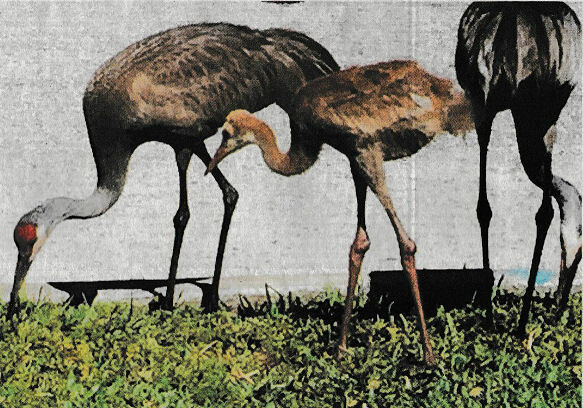 These cranes are monogamous breeders. The young are able to follow their parents away from the nest within 24 hours of hatching. You know, I just love birds. Well that is I love to watch birds, especially ones that were so foreign to me growing up in the North. To see these birds along the road as you are driving is amazing to me. I always have my camera with me in the car. Even here in southeastern North Carolina, the birds are amazing to me. If I can safely pull over, I am out of the car with camera in hand.